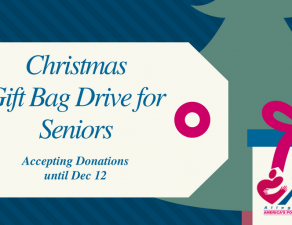 Join Community Action of Allegan County in supporting our Senior Service Clients by helping stuff the bag! 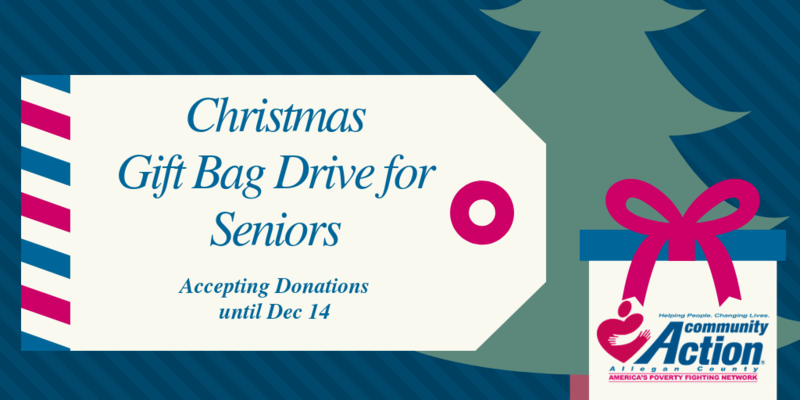 CAAC will be delivering Christmas bags to over 100 homebound senior citizen households throughout Allegan County. Many seniors in Allegan County do not have family or friends to celebrate the holidays with. Sometimes the only contact they have with people are with our Home Delivered Meal or Volunteer Transportation drivers. The small bag of gifts we are able to provide them means so much as it is often, their only Christmas gift. If you are able to donate any of the items from the list below we and our seniors would be most grateful. If you are unable to shop and would like to donate financially to this great cause, we will gladly do the shopping. Please click here if you would like to make a donation through our website. When making a donation through our website for senior bags please select the fund “Holiday Giving”. All donations can be brought to the 323 Water Street, Allegan office no later than December 14 to allow for bag assembly and distribution. Not limited to this list all donations appreciated! Thank you!